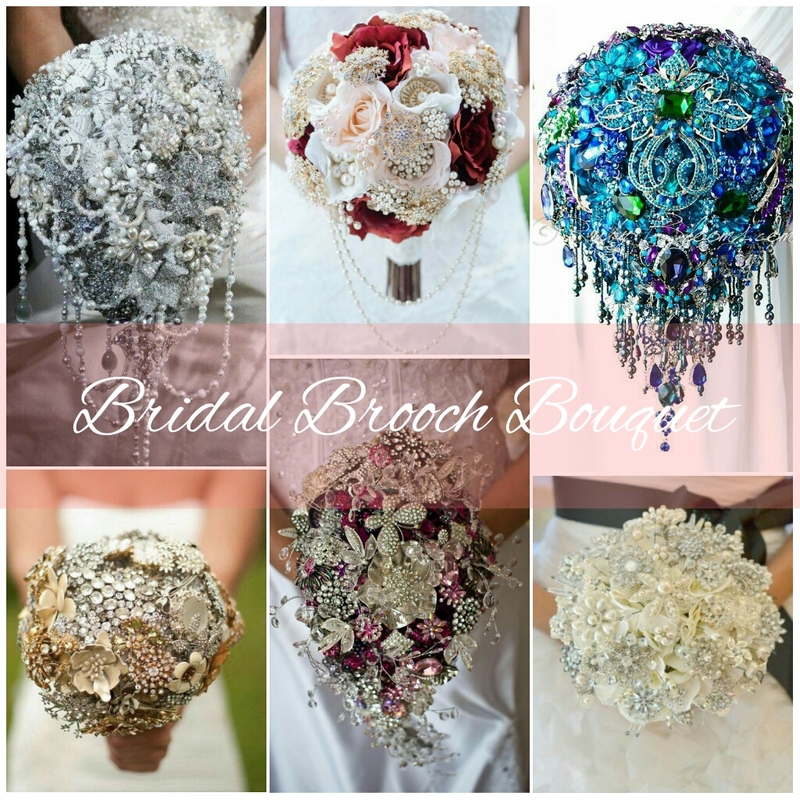 WHAT IS BRIDAL BROOCH BOUQUET? A unique alternative from fresh flowers bouquet which will be a beautiful life long keepsakes. It is a creatively styled bouquets made from brooches, fine jewelry and laces through a crystals and sometimes feathers. It is a highly creative and every piece made to exacting standards. A brooch bouquet is not just something that get used for one day and discarded. It will be a lasting memory of your special day. And unlike fresh flowers bouquet, brooch bouquet will never wither and die. It is also a great replacement for brides and grooms who have an allergic reaction to fresh flowers. 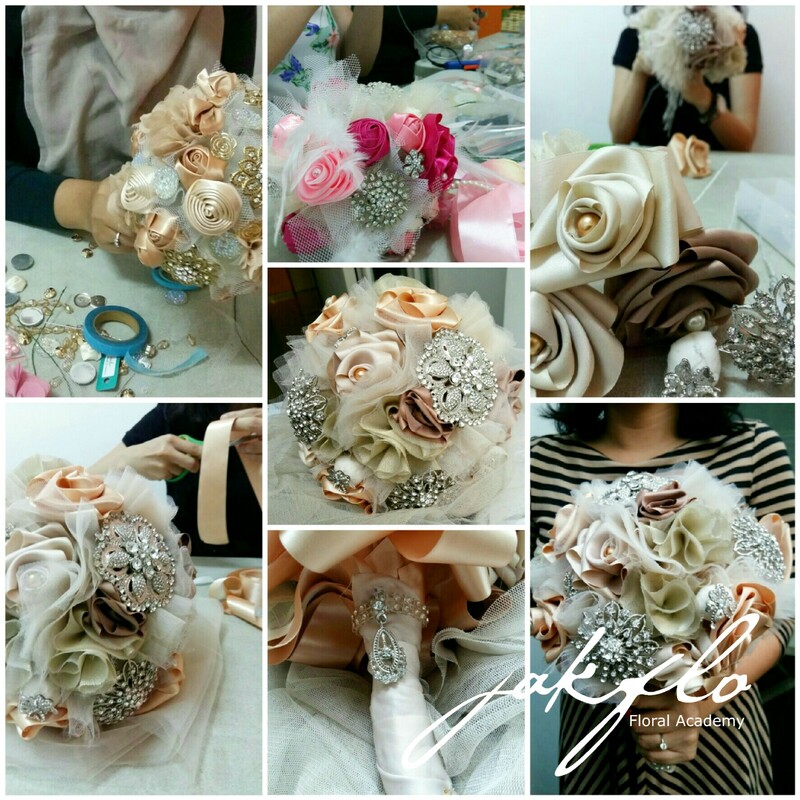 You will learn to make a beautiful bouquet wich you can sell or for rental. The tehcniques will include wiring and sewing. All materials are included in the price.